We welcome to Grace & Faith a young woman with a big heart… Precarious Yates! Hi there. First off, we’d love to hear some about who you are when you aren’t writing. First thing you should know is this: I am absolutely wild about the fact that Jesus loves me. My greatest passion is to pursue the One who pursues me. When I learned that He wanted to partner with li’l old me to bring His kingdom to this earth, I became ecstatic, fanatic and determined to love with His love no matter what I’m doing. Right now, I spend any time I’m not writing running around after my daughter. We garden, play on jungle gyms, have tea parties in the afternoon and run around with our dog. This is written during the pause of a very serious game of tag. Four year olds are filled with such vibrancy and life! I also love gathering with other believers in prayer and worship, seeking the Lord to see His glory and on behalf of others. I’m the wife of an incredible man who is the IT director for Streams Ministries. Before he landed the job at Streams, we were planting a church on the south coast of Ireland. We lived in that magnificent country for four years. Speaking out against human trafficking and inspiring others to become abolitionists are two things that are very important to me. See my website (listed below) for links to organizations that I support as often as I can. Wow! Awesome! 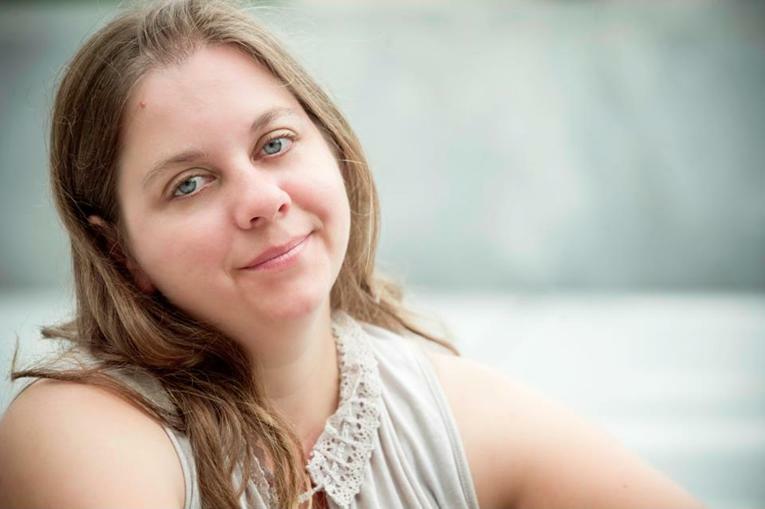 How did you come to be a Christian writer? I began to write stories and novels at a young age. As a teen, I was angry, which was reflected in everything I wrote: poetry, plays, novels, even homework assignments. When I encountered the Lord at the age of 20 and gave my life to Him, I let Him invade every aspect of my being. I discarded my angst ridden writing and began to write for Him. Since then, I’ve written 6 ½ novels, one five-act play and heaps of poetry and songs. God can sure turn a life around, can’t He? What do you like to read? What are some of your favorites that you have read? I LOVE reading YA, which is why I write it. I love the subgenres of sci-fi and fantasy, espionage novels and stories of kids who have been through dark times like I had been and came through the other side to see the Light of Christ. I’m mildly obsessed with classics, particularly Russian classics. The Brothers Karamazov and Crime and Punishment by Dostoevsky are still among my favorites. No light reading for you, huh? I’m curious, what is a quote or saying you live by? Where did it come from? Why does it speak to you so deeply? When I lean my whole being into the Lord and rely on Him for all my strength, I find I’m where I want to be. Better yet, that’s where He wants me to be. Great insight! So, what are you working on right now? I’m writing book 2 of Revelation Special Ops. I’m about half way finished! I’m also writing a contemporary fiction book—a coming-of-age book about a hyper-intellectual girl and her unique life. Also, I hope to re-issue a fantasy novel I published while overseas, but it must undergo tons of edits first. What about your current writing endeavors that are already out? Hadassah can maneuver her way through the African jungle to rescue abducted children, and through freezing air ducts in NYC trying to bust open a human trafficking ring, but can she navigate her heart when the whole world around her descends to chaos? 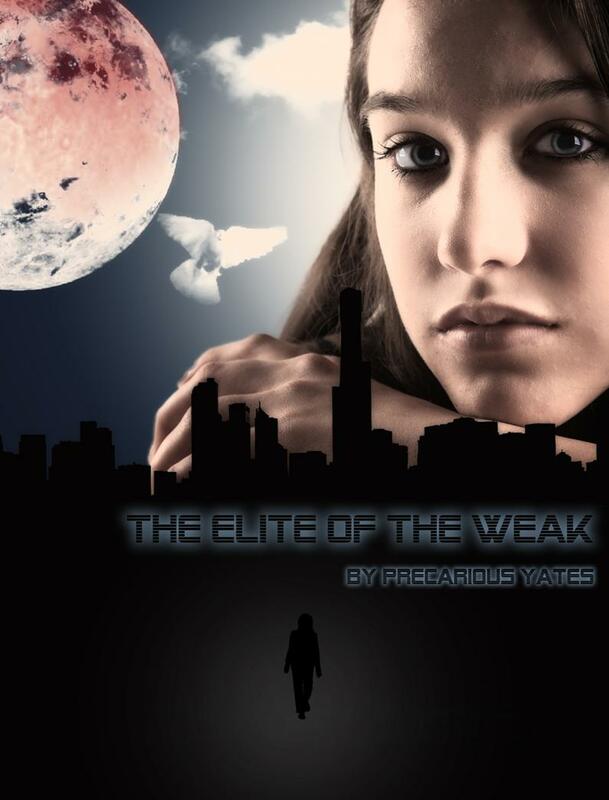 The Elite of the Weak, set in the near future, is the first of the Revelation Special Ops series. When the world is falling apart and there is every reason to mourn, will Hadassah still think of others before herself? Thanks so much for visiting, Precarious. Where can our readers find you on the ‘net?